Approximately 586 years before Jesus the Temple in Jerusalem, built by Solomon, was destroyed when the Babylonians invaded, after standing almost 500 years. Seventy years later, with the return of the Jewish people from their captivity in Babylon, The Temple was rebuilt on its original foundations. This Temple stood until the Romans destroyed it about 70 years after the birth of Jesus. Scripture speaks of The Temple being built yet again in the same place in Jerusalem during the end of days, shortly before the return of Messiah Yeshua. 99.8% of Jewish people do NOT believe that Yeshua - Jesus is The Messiah, so they don't believe the The Messiah came once and it returning. Religious Jews DO believe that the Biblical Messiah will appear in the end of days and they do see in Scripture where the Jewish prophets speak of The Temple functioning in that "Messianic Age." The "Temple Mount Institute" has been involved in preparing things needed for The Temple, once it is built. 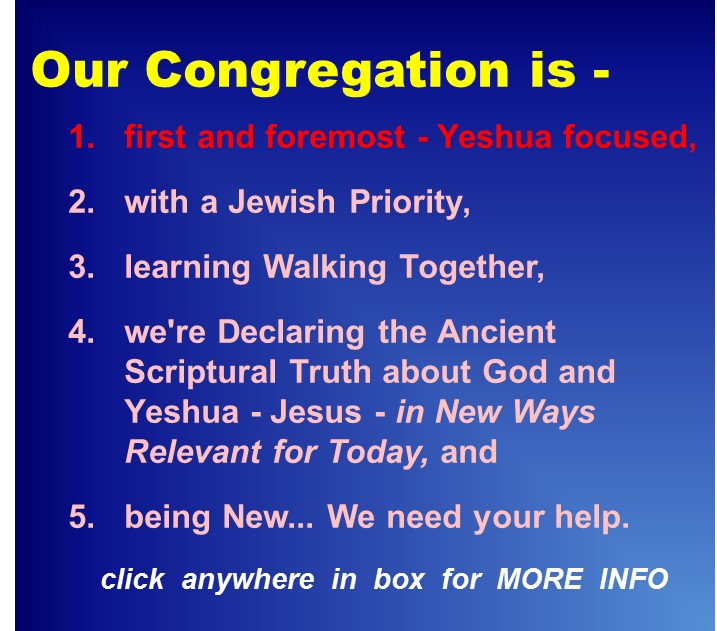 There has been great excitement in Israel about being ready to build The Temple and restart the Biblical acts of worship spoken of in Scripture (sacrifices, etc.). Among other things already made is the Golden Menorah - a 7 branched oil lamp that Scripture said to make from one solid piece of gold. 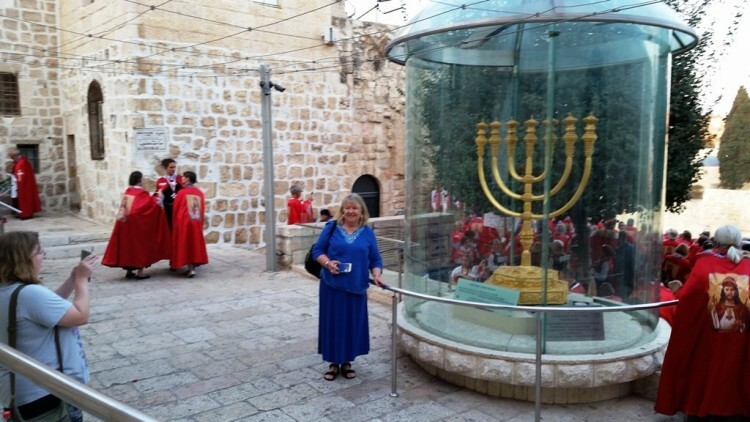 Sue from our team is standing next to this Menorah - ready for The Third Temple - on display near the Western (Wailing Wall); Melissa (left) from our team is taking a picture of Menorah and Sue.